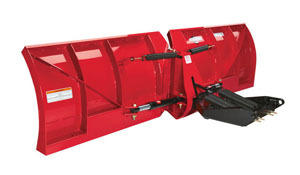 These plows are the standard workhorses, built to be in the forefront of battling winter’s worst pile-ups. How do they differ from other straight blades? Attention to detail! The tough steel Straight-Blade has a baked on powder-coat paint finish with exclusive zinc primer to withstand corrosion. 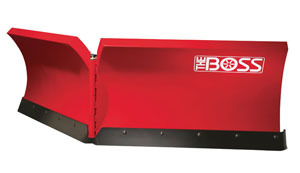 The super-slick polyethylene moldboard of the Poly Straight-Blade assures snow will slide right off the blade, saving time, fuel and wear and tear on your truck. 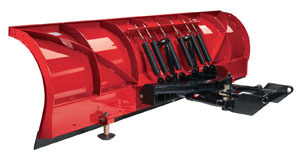 The exclusive heavy-duty push frame and quadrant, top-notch blade curl, and the Super-Duty’s reinforced moldboard lead all others in strength and reliability.